will be blooming soon again ! This is the name of a quilt I started sewing last Spring. 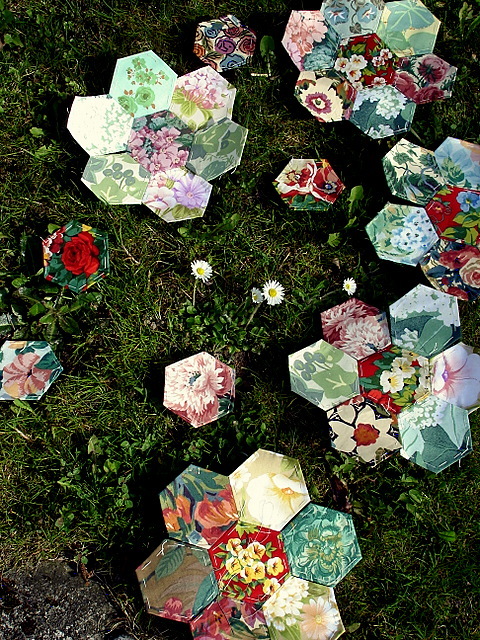 Small hexagons of paper covered with fabrics I chose amongst my flowery materials. Flowers I would love to see in my own garden. 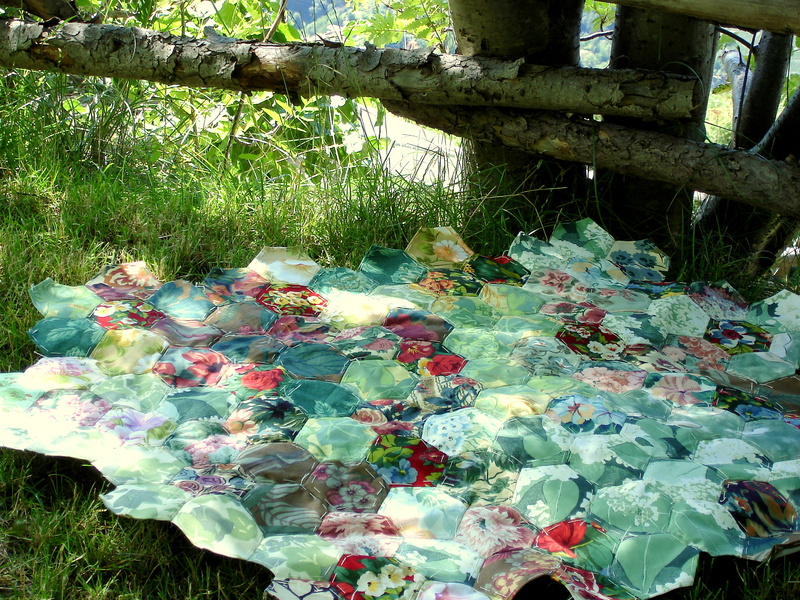 All sewn by hand, it is a quilt that accompanies me wherever I travel. Or when I sit outside in warmer days. 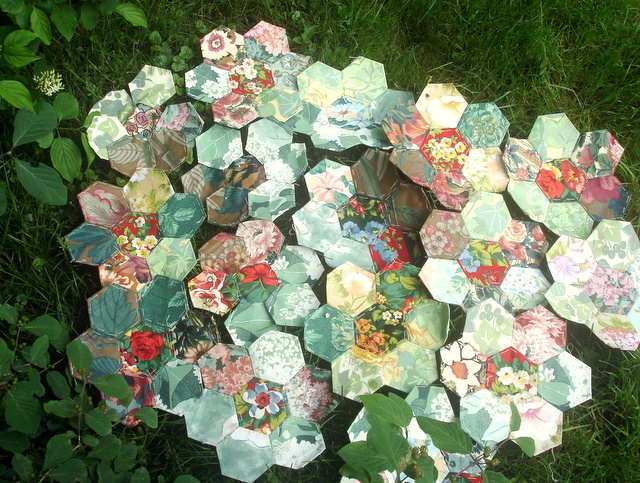 I always carry a few colourful hexagons with me. I worked on this quilt most of the past Summer. This is how it looked then. 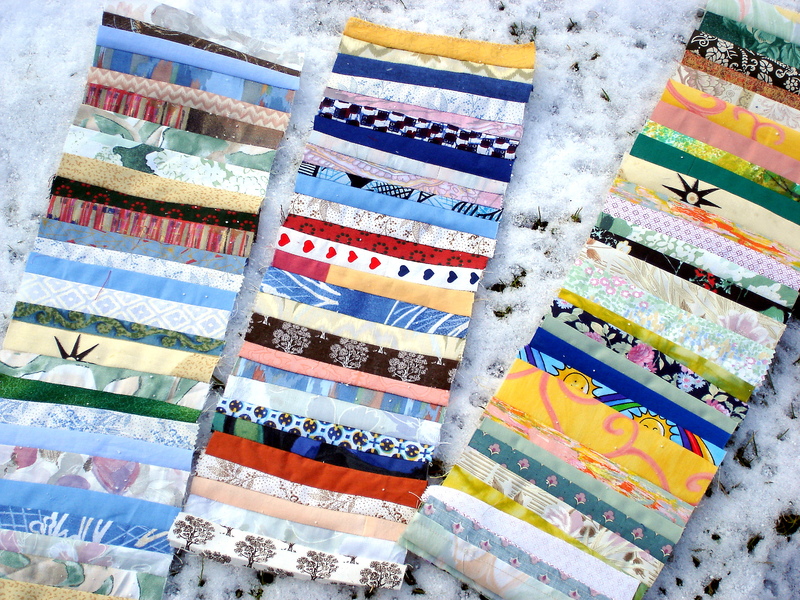 Then when cooler days came, I went back to my sewing machine and started working on other quilts. Now and then I would add new pieces to my grandmother’s flower garden. 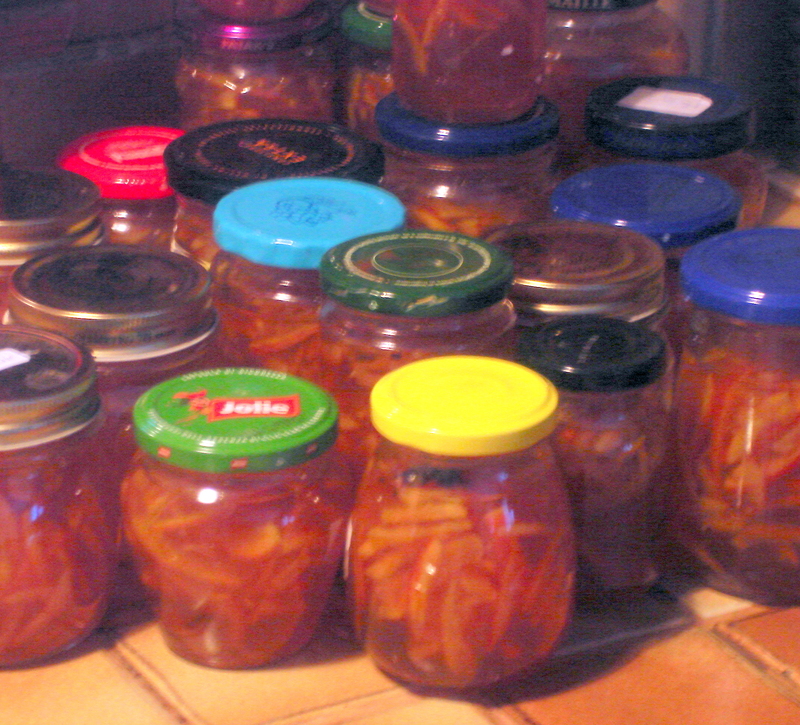 I don’t know if and when I will ever complete it – it seems endless – and so much fun ! but this is how it looks now anyway. A quilt I really enjoy creating for the neverending variations one can bring to it, according to one’s mood or choice of fabrics. I simply love it. My dream garden. “In The Fall, I harvested all my sorrows and burried them in my garden. 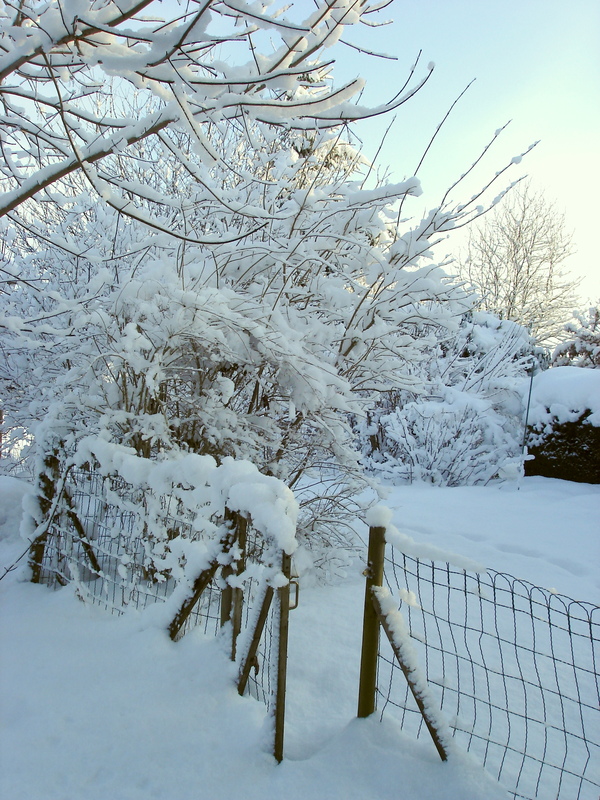 My garden was strewn with splendid and exceptional flowers”.